Before y’all ask, no I don’t currently have Marley Twists. Although I’m thinking I should put some in after seeing this photo. I just dug into my archives to find an example of the perfect cat eye for y’all. And this was it. This is how I wish my cat eye would look every single day. But unfortunately it doesn’t always work out that way. My cat eye may not always turn out exactly how I want, but most days I get pretty good results. After all, it is my signature look. What I’ve noticed though is that my results depends a lot on the type of eyeliner that I use. I typically use three types of eyeliner. 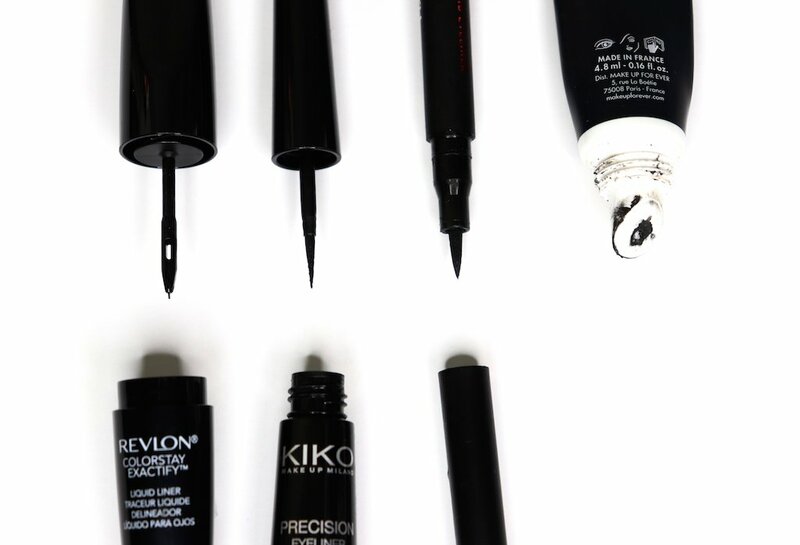 Liquid eyeliner with a super fine precision applicator. An eyeliner pen. Or a cream/gel eyeliner that requires a brush to apply. I’ve recently also added a “pizza cutter” eyeliner to my collection, which is the latest craze. 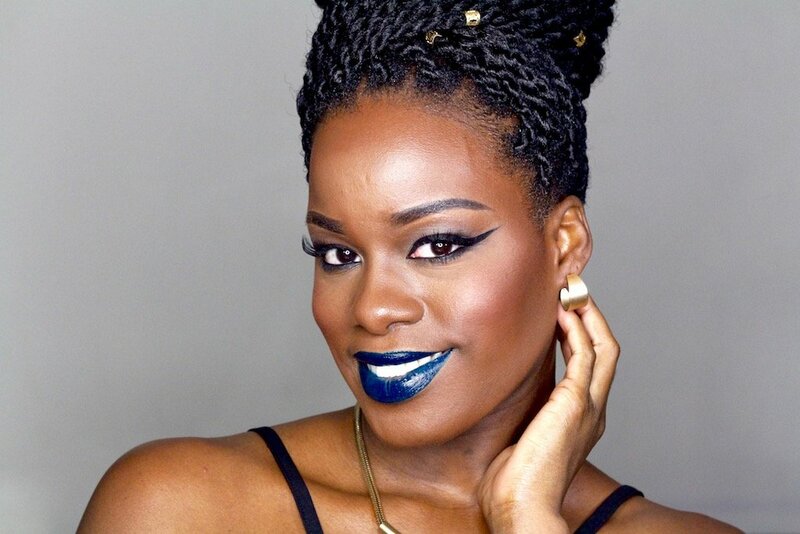 Don’t bother to try and get a precise cat eye with an eyeliner pencil. It won’t work. Trust me on this one. Let’s start with the Pizza Cutter Eyeliner. This new type of eyeliner has a tiny wheel applicator that pretty much looks like a pizza cutter. You’re supposed to be able to get a super precise line. But the wheel is a little wonky and hard to maneuver at times. And you have to dip it often to be able to complete a single eye. It’s more work than I have time for and I’m barely ever satisfied with the results. So I don’t reach for this one often. 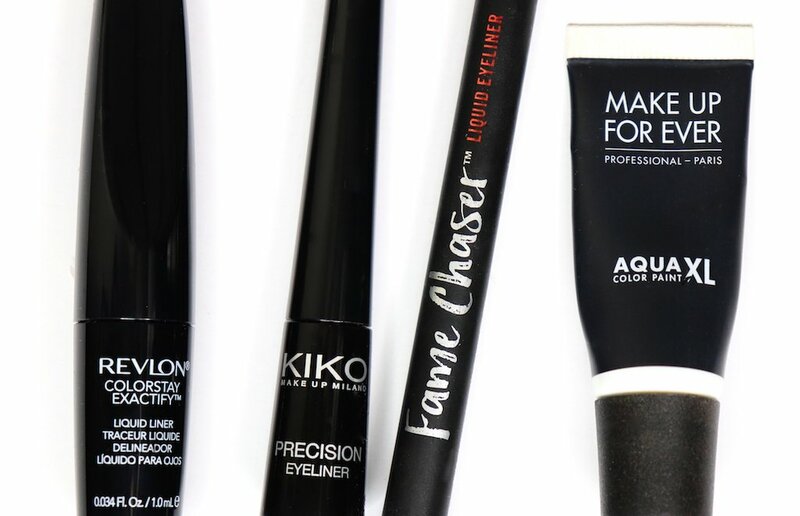 Next up is my favorite type of eyeliner- the Precision Applicator. 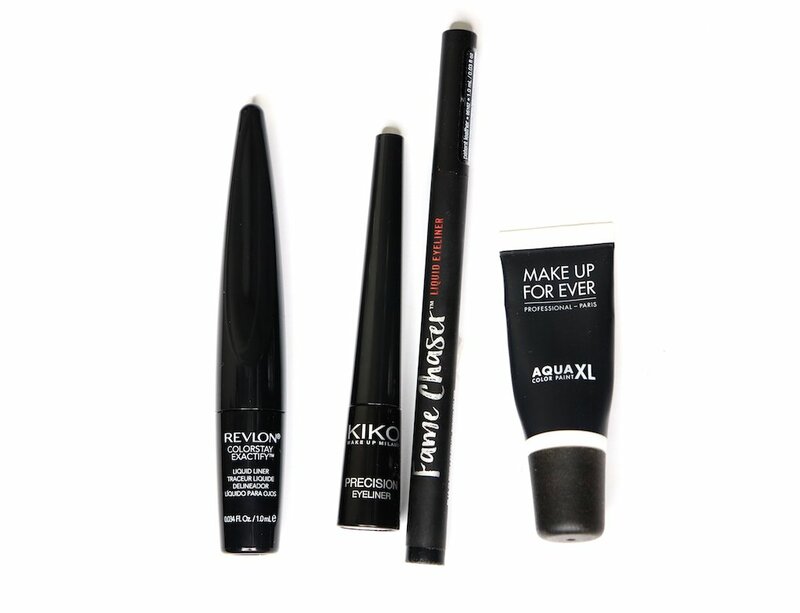 The applicator is usually slim yet firm, making it really easy to create the shape that you want. It usually doesn’t take me very long to get a perfect cat eye with a precision applicator. I highly suggest that you start here if you’re a beginner, or having trouble perfecting the cat eye. Next is the eyeliner pen. I have a love hate relationship with the eyeliner pen. Everything is all good at first. Until the applicator becomes too soft, making it hard to get a precise line. The pen also dries out too fast. You’re better off with the precision applicator. Finally, there’s the Cream Eyeliner (or gel). This is my second favorite type. Only because it requires a brush, which is a little more work to use. A really good brush with a fine, firm tip is a must. I highly suggest a bent eyeliner brush because it’s easier to work with. I actually used a gel eyeliner to create the featured cat eye. 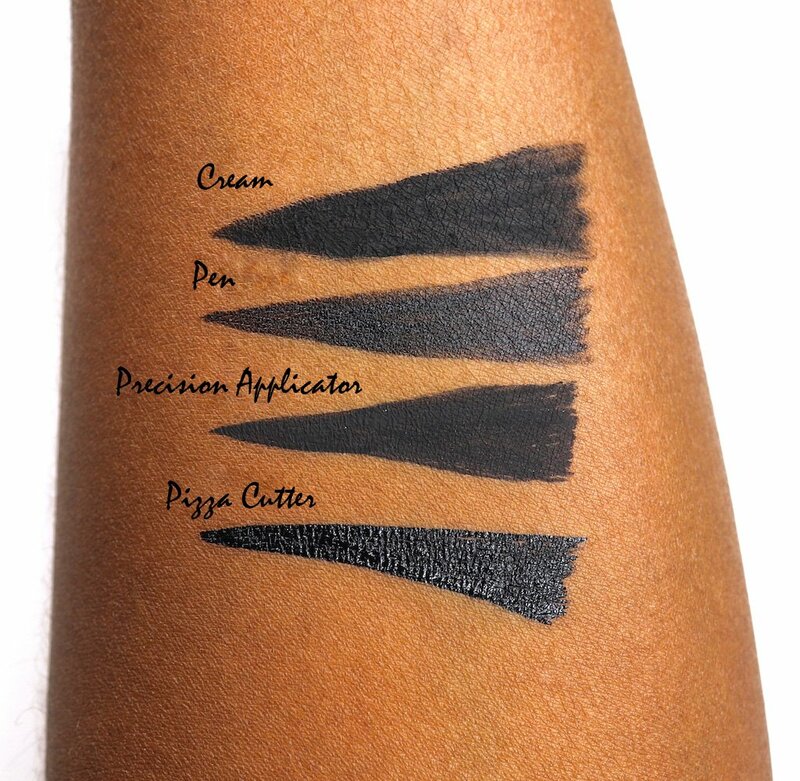 Here’s an example of the precision you can achieve with these different types of eyeliners. Now it’s not as easy when you’re actually applying to your eyes. But I wanted to give you an idea. Also take note of the different finishes across the eyeliners. I prefer a matte finish. Anyway, in my experience the precision applicator is best for creating the perfect cat eye. Followed by the cream/gel applied with a brush. Then the pen. And lastly the pizza cutter applicator. It all depends on your skills though and what you’re most comfortable with. 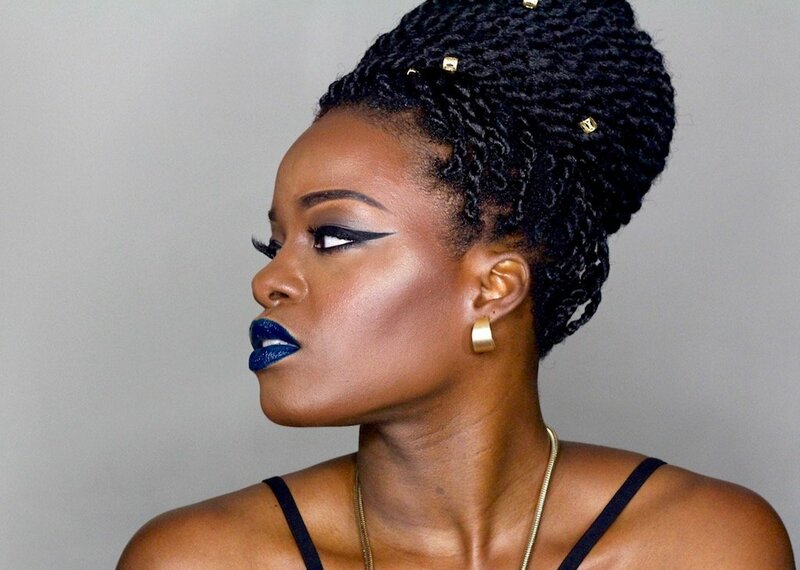 Check out my Smokey Cat Eye Tutorial to see exactly how I achieved this cat eye of my dreams, along with deets on this look. Product(s) in this post were provided for review consideration. See my Disclosure page for additional information.